Visionary leadership is a style of leading others. There are other styles, but this one is arguably the most vital for today’s business leaders looking to create thriving organizations that achieve long-term success. The late Steve Jobs is the poster child for this style. Surely, Jobs demonstrated most of the qualities we will highlight below. Visionary leaders have a compelling vision for their business. They can see beyond the ambiguity and challenges of today to an empowering picture of tomorrow. Visionary leaders impregnate their team and the organization itself with this vision. Fueled by inspirations, the organization charts its course to this new future. Visionary leaders aren’t authoritarian or dictatorial; they don’t seek control over their employees. Instead, they provide freedom to employees to determine the best path to actualizing this vision. It’s a discipline to hold the end picture in mind. It takes commitment to work towards this vision each day. Endless information inundates all of us. We live in a world of endless distractions. How challenging is it to focus on a given task for a mere hour? Now consider the inherent challenges of holding a long-term picture in mind over a period of years. Effective collaboration is necessary for any group of people looking to create something, bring it to market, and grow in a competitive arena. Visionary leaders have a way of inspiring their organization to rally around a shared vision. This alignment gives the team a competitive advantage. What does inspirational mean? It means that visionary leaders tap into our emotions. They ignite our passions. They drive our emotions in the right direction to bring out the best in us. To inspire with consistency, a leader must be aware of his emotions and be empathic (aware of the feelings of others). Only through empathy can a leader connect with the hearts of their team and inspire them to realize their greatness. Although visionaries hold a big picture in mind, they are flexible on how they get there. They are receptive to new information and can hold multiple perspectives. This open-mindedness allows them to navigate stressful situations with a flexible mind, pulling from many resources and sometimes unrelated industries to arrive at creative solutions. Visionary leaders have a childlike playfulness. They value their imagination and allow themselves to dream, exercising their mind’s eye to see beyond what’s in the physical world at the moment. They encourage others to dream big too. Social pressures influence visionary leaders less than most others. Their high conviction holds in the face of adversity. Setbacks aren’t a sign of failure to them; they are mere stopping points on the way to realizing their vision. As such, they are willing to take calculated risks and endure uncertainty. They give assurance and clarity to others when facing difficulty. Obstacles are constant. Realizing the vision will not be easy. With inner resolve, visionary leaders push through difficulties and setbacks. They remain agile enough to pivot and make course corrections, but they always persist. This resolve is one of author Andy Andrews’s seven decisions for personal success: I will persist without exception. You can’t realize a business vision alone. It takes a talented team that can work together. 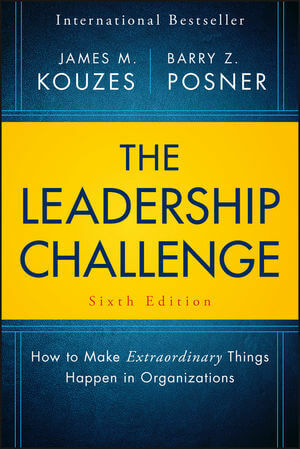 Visionary leaders inspire others to harness their unique gifts and strengths to innovate and find creative solutions. They create an open environment where people learn to trust each other. And that trust starts with the leader. There’s no place for timidity in visionary leadership. These leaders are courageous and daring, willing to take calculated risks. They don’t fear failure as much as they fear not going for it. Visionary leaders foster innovative organizations because their people can fail quickly, learn, adapt, and grow. Visionary leaders are inclusive, inviting others to make the vision their own. They attract talented people who are passionate about what they do, who are inspired by the company’s big picture. They create thriving, innovative cultures where individuals have the freedom to create their best work and take pride in their efforts. Visionary leaders bring out the best in their people. Visionary leaders hold a positive outlook for the future. They are hopeful they will achieve success. They don’t view problems as personal, permanent, or pervasive. Instead, they are impersonal, temporary, and relate only to the present situation. These leaders are driven to create more value but are content where they are now. Their optimism is infectious throughout the organization. It’s a sturdy anchor when setbacks occur. Although this visionary leadership style may come more naturally to some, it’s still just a style of leading. That is, it’s a set pattern of behavior encoded within each of our minds. This means that everyone can access this powerful style of leadership. How can you access more of this style of leadership right now? Start by reviewing the ten qualities listed above. Reflect on any one of them for a minute or two. Let your mind find ways to bring this quality to life in your behavior and mindset right now. Visualize yourself embodying this visionary leadership trait. Notice how it feels within yourself. In your mind’s eye, see how those around you respond to you. Hold this feeling and gently smile. Acknowledge the presence of this attribute within yourself. Now, create. Lead. Act as if you are a visionary. Make it a reality right now. Repeat this process often.